Our first branch was established in 1912 and is the largest and most respected moving and storage company in San Diego. When United Van Lines was formed in 1944, Our first branch became a charter agent. We are the largest United agent in San Diego county, and currently have two full service offices, a military only agency, two special product distribution centers and a full service Mayflower agency in Phoenix. 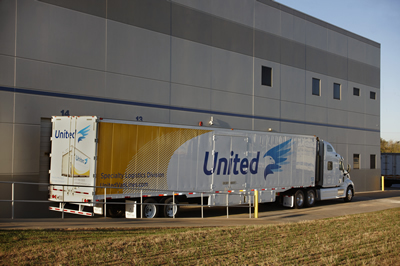 Corporate Moving Systems is an equal shareholder with other United agents in Unigroup, Inc. Unigroup not only owns United Van Lines, but also Mayflower Transit, Vanliner an insurance company, a truck leasing company and other subsidiaries with consolidated revenues in excess of $2 billion. Consistent growth, financial stability, customer service emphasis and low turnover are the ingredients in the success formula for Corporate Moving Systems. We offer 130,000 square feet in two San Diego County warehouses, 40,000 square feet in Phoenix and 80,000 square feet in Seattle, Washington. Our corporate headquarters and warehouse are located just off of I5 in Kent, WA just south of Seattle. In California we offer facilities just off Interstate 805 and Highway 52 in San Diego, on the Carlsbad / Vista border off Palomar Airport Road, and our Phoenix facility is conveniently located west of downtown off Interstate 10. These new state of the art facilities are located strategically to provide shipping service to the West Coast and I5 Corridor. We are firm believers that our agency offers a level of technology un-surpassed by other transportation providers. We don't take that phrase lightly either! We utilize tools and software applications that range from customer specific EDI solutions to web portals and server side applications for customer reporting and service metrics. We are the only Agent in the United or Mayflower System to serve Satellite Tracking Updates from our own servers! If you are interested in taking advantage of the highest possible commitment to technology, contact CMS Logistics, you will not be disappointed. In our fleet of trucks we over 125 local units and 50 long distance tractor-trailers. Our offices place an emphasis on self hauling corporate account bookings. Our Interstate fleet hauls more than $8 Million in linehaul revenue.